RURALCO has announced an underlying net profit after tax of $28.8million for the full year ended 30 September 2018, up 10 percent on last year. 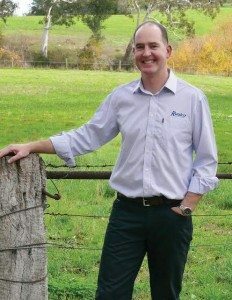 In releasing Ruralco’s full year results this week CEO Travis Dillon said investments in diversification had eased the impact of mixed seasonal conditions across the country in what has been a challenging year for the rural sector. Mr Dillon said the the profit growth despite the difficult seasonal conditions confirmed the sustainability of Ruralco’s business model. “Significant progress has been made on delivering our strategic priorities with 10 new locations, both acquired and greenfield, nearly $2.7million invested in innovative AgTech start-ups and significant growth in our finance products, which are tailored to suit the needs of our customers. Directors declared a final fully franked dividend of 6 cents per share with a record date of 26 November 2018, payable to shareholders on 17 December 2018. This represents a dividend payout ratio of 52pc of underlying second half earnings. The Dividend Reinvestment Plan will again be in operation with a nil discount. Rural Services: The Ruralco results statement said disciplined cost control helped offset declines in livestock agency gross profit to hold uEBITDA for the Rural Services division to $88million for the year. Supported by its geographically diverse retail network, Rural Supplies gross profit increased 2pc. Highlights include increased crop protection and fertiliser sales in Western Australian and Tasmania and strong demand for stock feed and animal nutrition products on the back of dry conditions in Queensland and the southern states. Buoyant sheep and wool markets continued to support agency earnings through the second half of the year, limiting the decline in agency gross profit from the anticipated softening of domestic cattle prices to only 2pc. The dry conditions have led to higher than expected cattle slaughter and destocking rates, with total volumes of cattle sold through the network increasing 6pc on the prior year. Seasonal volatility has also impacted listings in the rural residential real estate market, limiting real estate gross profit growth to 1pc. Ruralco has invested in two AgTech start-up businesses this year with the aim of boosting data insight capabilities and increasing service value for customers. Digital Agriculture Services provides real-time rural property valuations and farm performance history for customers and lenders and will initially be used by the Ruralco real estate network. DataFarming is a web-based platform that provides access to satellite imagery to help agronomists and customers better understand their crop and pasture production, saving them time and improving the efficiency of their operations. Water Services: An expanded, more geographically diverse footprint and improved cost base efficiency have driven a 63pc increase in Water Services uEBITDA to $21.4million. Gross profit from this activity now represents 22pc of total Ruralco gross profit. The opening of two water projects greenfield sites in East Gippsland in Victoria and the Barossa in South Australia and the acquisition of two quality water projects businesses in Lameroo in South Australia and Dubbo in New South Wales have added further geographical diversity to the earnings base during the year. Integration of acquired businesses, both in the current and prior year, into the wider Water Services network continues to progress well with the division beginning to see operational and financial performance benefiting from the increased water projects capability. Prevailing dry conditions have pushed temporary water trading volumes up 40pc in the Murray Darling Basin with the average price of temporary water allocations nearly double 2017 levels, leading to 80pc growth in water broking gross profit to $4million for the year. Financial Services: The Financial Services division reported its first year of profit with uEBITDA of $1.5million. “These earnings provide a sound base for growth as the business continues to build scale in its finance and insurance broking activities, with 45pc growth in the Seasonal Finance loan book and $36million of new Flexi Finance loans written by year end,” the Ruralco statement said. “This has been a difficult year for many in our sector and Ruralco continues to work closely with its customers impacted by tough seasonal conditions. Live Export: The Live Export division (Frontier) successfully diversified its markets this year with a 17pc increase in volumes exported. For the first time in four years Vietnam replaced Indonesia as Frontier’s largest volume export market. Current market dynamics, including excess industry capacity and the impact of drought conditions on exportready cattle supply and feed cost, decreased trading margins and drove a $3.1million uEBITDA loss for the year. 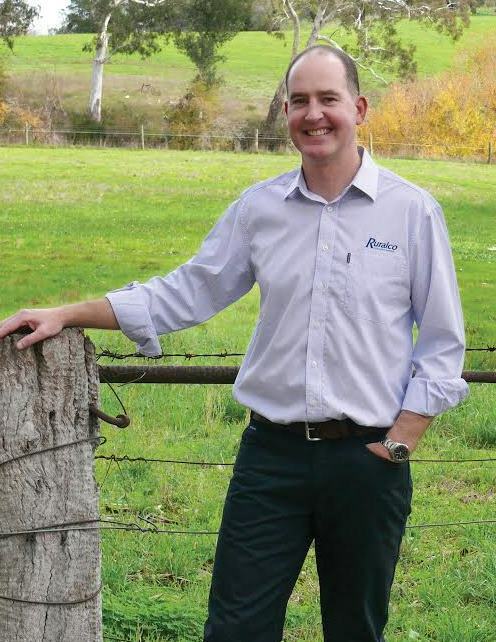 Outlook: Whilst the Company remains cautious about short-term seasonal conditions, recent spring rainfall, the continued buoyancy in the sheep and wool markets and current stable cattle prices supports the positive outlook for the business. “The diversity of our activities and the geographic mix of our operations combined with a relentless focus on cost base efficiency will continue to soften the expected impact of any seasonal volatility. We continue to target opportunities to invest, innovate and integrate to create long term value for our shareholders and realise the benefits from diversification,” Mr Dillon said.